As I took my seat under the big tent, I was already smiling. Cheery marigolds flowered the stage while miniature tin robots watered them. A vibrant yellow-orange sun provided the backdrop as whimsical music from an acoustic guitar floated through the air. Once the crowd took their seats, the lights dimmed and a familiar sensation of preparing for lift-off took hold. The captain announced over the intercom that we would shortly arrive at our destination: Mexico. Instantly, we were transported into a world of the imagination. There were many beautiful and memorable parts of the show but I will share a few highlights. The opening scene was one of my favorites. The music whisked the audience away and the stage changed quickly to a powerful scene of a woman running in a field of marigolds. A lifelike horse ran behind her as she strongly pushed forward. This scene inspired and impassioned me. 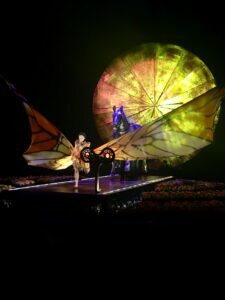 The performer was wearing a monarch butterfly costume and after researching a little on the themes and symbols throughout the show, I read that the monarch butterfly migrates all the way from Canada to Mexico every year. There are many symbols of Mexican culture, like this one, throughout the show and nods to various Mexican traditions and Aztec and Mayan mythologies. Set scene: two cacti walk onto the stage. There were many moments in the show that made me giggle, including this one. Throughout LUZIA there are characters in the background that relate to the nature and wildlife in Mexico. As the cacti wobbled about, two Cyr wheels and a trapeze performer entered the stage. It was a harmonious performance and really beautiful to watch. 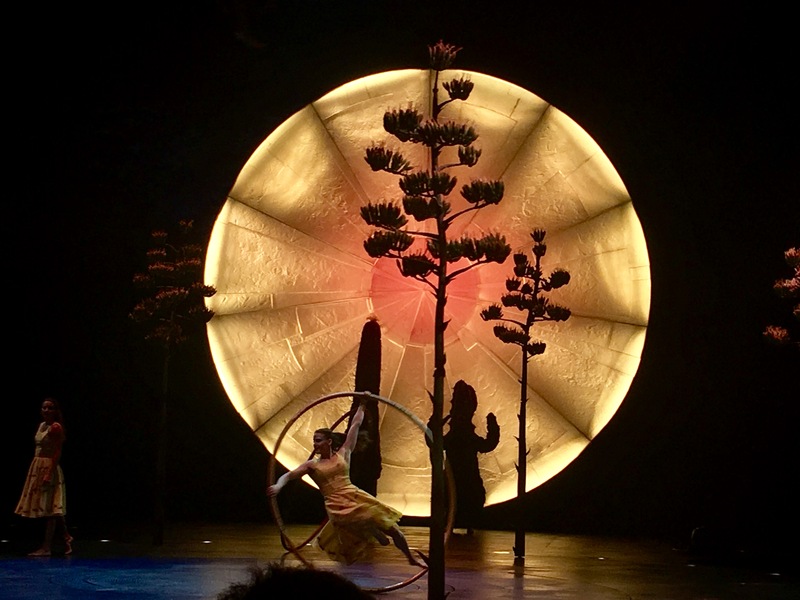 The athleticism one sees throughout LUZIA is mindboggling and as if the Cyr wheel and trapeze weren’t amazing enough, the on-stage rain element debuted. 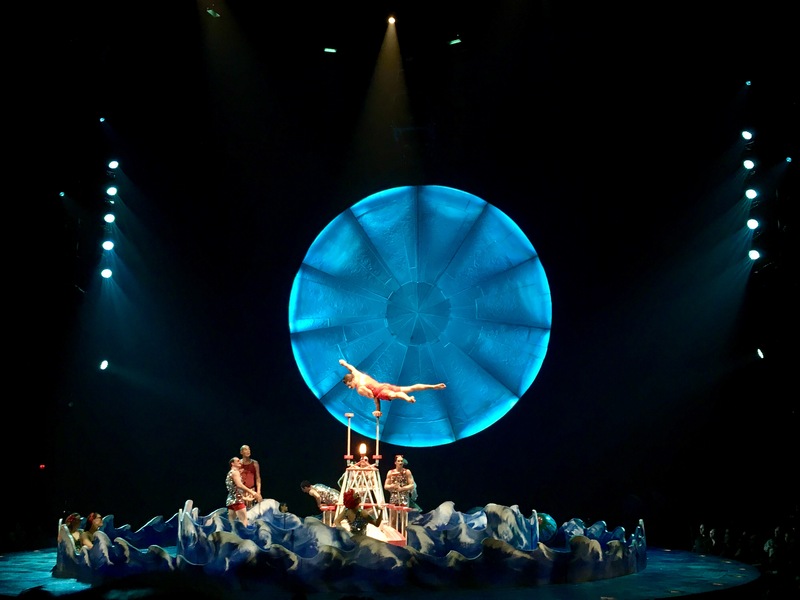 The performers were soon soaking wet as they continued to spin, flip and awe the audience. Note: The Cyr wheel looks like a huge hula-hoop that is set in motion by the performer moving their body with a certain acrobatic technique. There were multiple breathless moments during the show when I was on the edge of my seat: a satirical beach scene where the “lifeguard on duty” displayed upper body strength at great heights; the 360 degree swing where I swear I could hear the heartbeats of those sitting next to me; and a moving treadmill-like platform where hummingbird characters jumped through hoops at a fast pace. I could go on and on about the jaw-dropping performances. In particular, the contortionist was truly astonishing. He replicated a spider moving his body into various inhuman positions. The audience was so stunned, there was a lack of applause following his performance, but rather silence out of disbelief. It was art in the most shocking way. After the show, I heard most people reminiscing on this particular moment. The act that took place in a jungle setting was another favorite moment of mine. 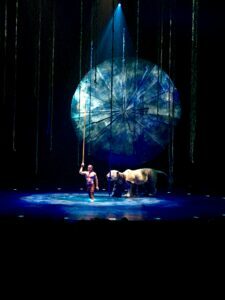 The performer looked like Tarzan as he tossed and twirled his body using straps hanging from the ceiling. There was a mystical pool of water that he dove in and out of as he escaped a jaguar, a common figure in Mayan mythology. The puppet jaguar was masterfully handled by puppeteers and moved stealthily on stage. Soon the performer won over the beast (as well as the crowd) with his gymnast strength and compelling performance. Throughout the entire LUZIA show, each scene was beautifully crafted and choreographed like this one. 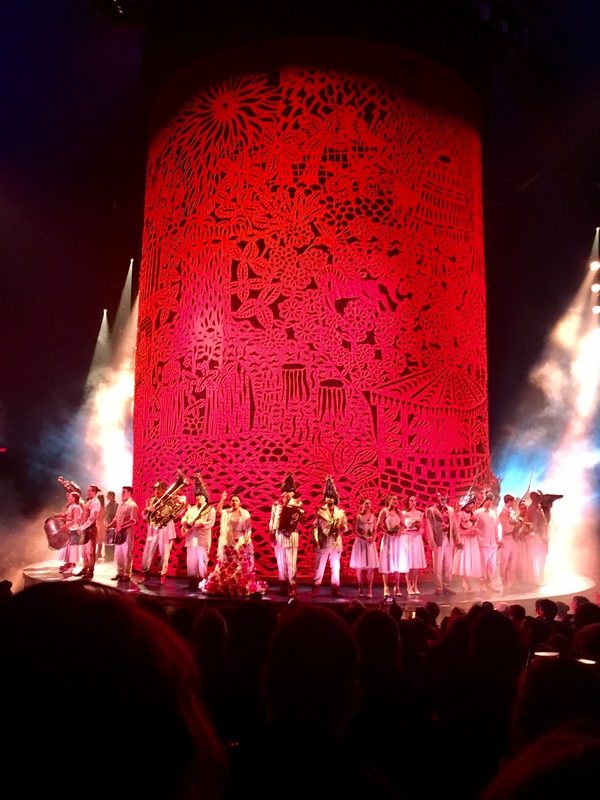 I enjoyed everything about LUZIA: the costumes, colors and storytelling. The Latin American music and moments of unity when the entire cast would come together on stage had me completely immersed in the experience. I was invested in the show from the moment it began and did not want it to end. I was left dreaming of Mexico and the enchanting world that was created before my eyes. 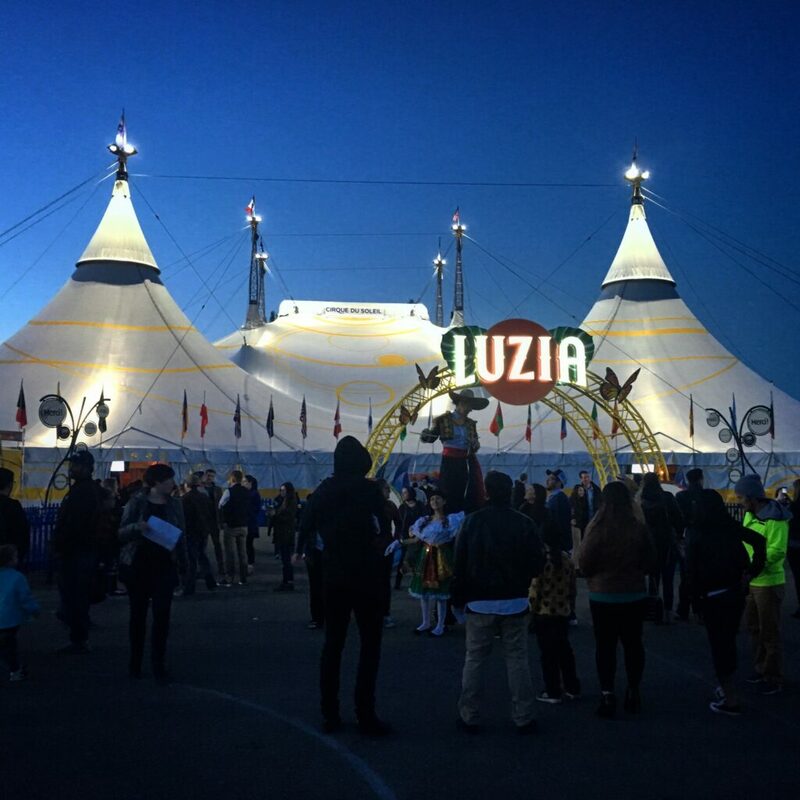 LUZIA is showing at Marymoor Park until May 21. 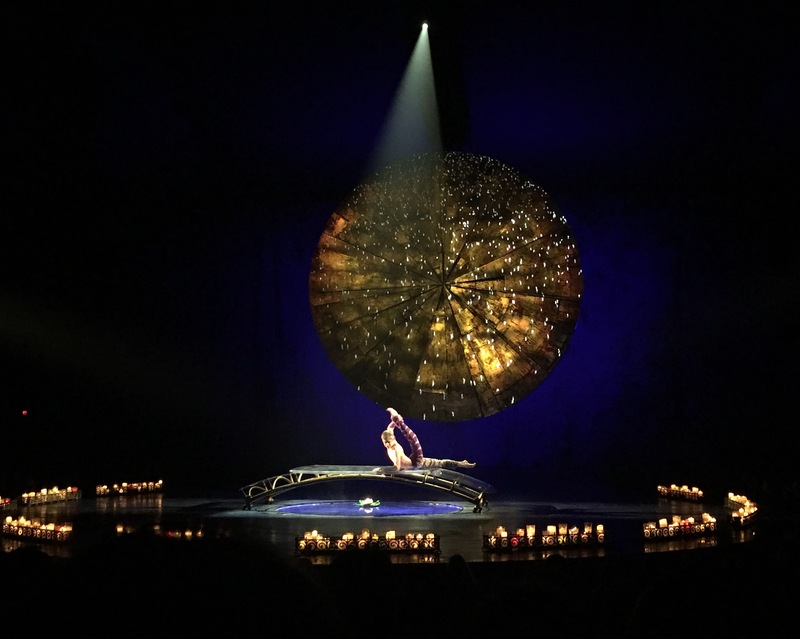 Visit cirquedusoleil.com/luzia for tickets and more information. 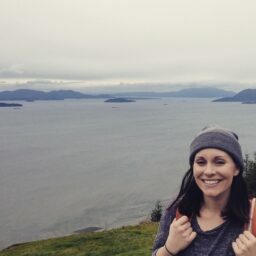 Chelsea Westerlund previously was a Partner Services Manager at Visit Seattle. A Florida Native who loves to travel, she moved to the Northwest for an adventure. She enjoys singing and playing music, adventuring in the outdoors and appreciates nature, food, wine, sunshine and big-hearted people.